RAMDisk is a program that takes a portion of your system memory and uses it as a disk drive. The more RAM your computer has, the larger the RAMDisk you can create. The software is the right product for you if you have a disk I/O bound application that is small enough to fit in main memory. 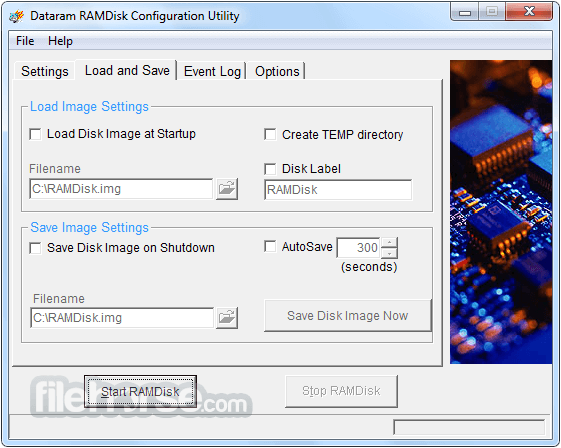 RAMDisk is also great for storing frequently accessed data such as temp files, page files and database index files. 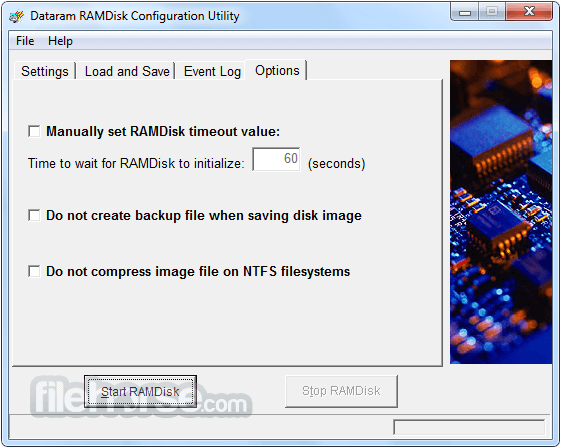 Itis offered as "freeware" for personal use and will allow you to create disks up to 1 GB in size. Some features not enabled and require the purchase of a license key to be enabled. For personal use only. Note: 4 GB disk size limit. 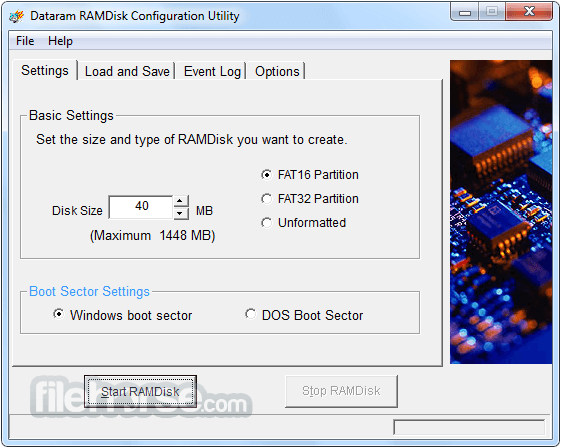 Disks larger than 4 GB require registration and a license which can be purchased.